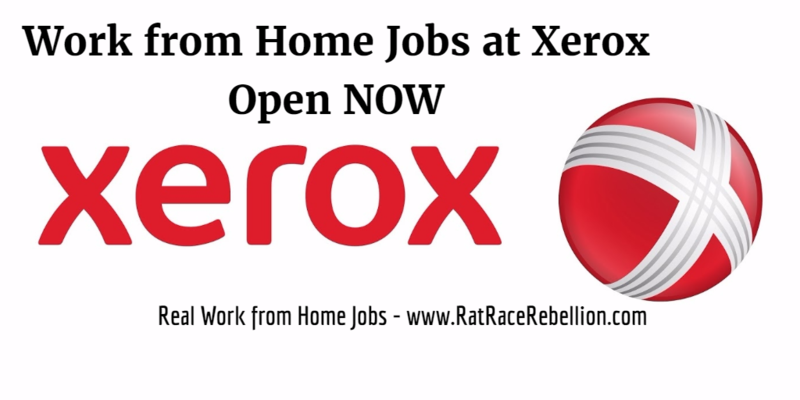 Xerox has over 8,000 home-based employees working in data entry, customer care, tech support and many other roles. It also actively hires military spouses and veterans to work at home through its [email protected] program. At any given time, the company has hundreds of virtual job openings. As we write, there are over 200 jobs in the US, and others internationally. The job mix changes frequently. Depending on the day, some will be entry-level, many will be more specialized. Currently, roles include Customer Care Assistant, Tech Support Agent, Project Manager, VP positions and many more. If you don’t see one today that fits, bookmark their jobs page and check back often. To go to the job listings, click here. For more on Xerox’s Virtual Office Program, click here. For details on [email protected] and Xerox’s Military Hiring Program, go to this page. Good luck! This entry was posted in Jobs with Benefits, Work at Home Jobs and tagged Xerox. Bookmark the permalink.